Winston Churchill is one of the most iconic figures in world history, let alone British history, so the task of playing him would have to fall to someone almost equally as iconic. Gary Oldman doesn’t naturally fit that role. He doesn’t look like Churchill, he doesn’t sound like Churchill and when you see him you don’t even sort-of imagine the most (arguably) famous Prime Minister of them all. Which is why his performance is so impressive. 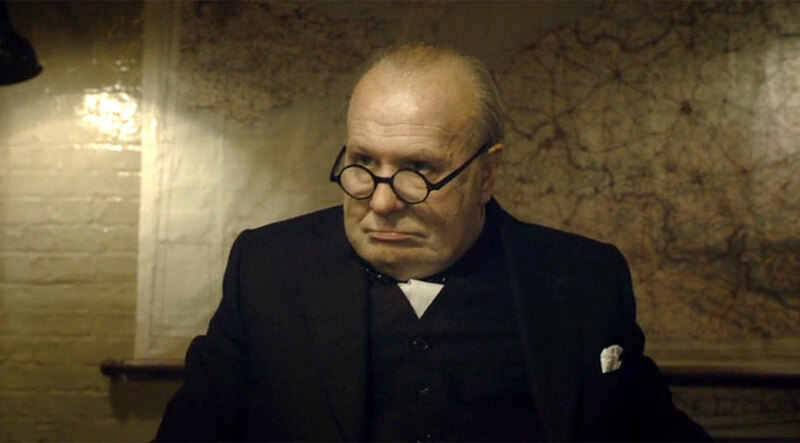 Oldman transforms himself into Churchill. The prosthetic help to push the audience in the right direction but it is the mannerisms, the speech and the gravitas with which Oldman manages to carry himself that sells the role. 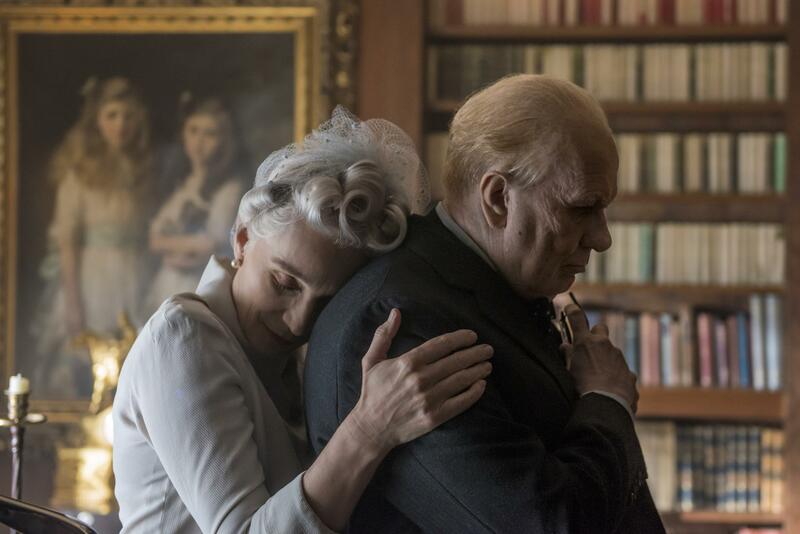 It is clear watching Darkest Hour why he received the Best Actor Oscar after-all. That is because it is a movie of huge set-piece, dramatic scenes and quieter, more intimate moments. You are rallying with Churchill as he puts both Stephen Dillane’s Halifax and Ronald Pickup’s Chamberlain in their place but you also sympathise with the character when he is contemplating giving-up and securing some sort of peace with Hitler. What also helps sell the success and story of the movie is coupling this with Christopher Nolan’s Dunkirk. In a year when the soldier’s side of that amazing “triumph” is told, it is interesting to see the political side of the tale: watching as Churchill wrestles with how to save the thousands of soldiers he seemingly places in danger. It is the fact that this is such a key moment in history that makes the movie so interesting. The film seems to be constructed accurately so you fully believe that Churchill may have rode the underground with his “people” or sat on his bed with the King of England. The fact that it is such a monumental part of British (and World) history means that you also know the end of the tale. It is difficult to find tension in some of the scenes when you are aware of the outcome. Churchill will not surrender to Hitler and Dunkirk will be a (somewhat) successful venture so when they are arguing against this point, the tension feels slightly undercut. It doesn’t matter though when you have a word-for-word recital of one of history’s greatest speeches. You can’t help getting goosebumps when you hear those well-imitated words spoken with vigour from one of Britain’s greatest actors. That in itself is worth watching the movie for. 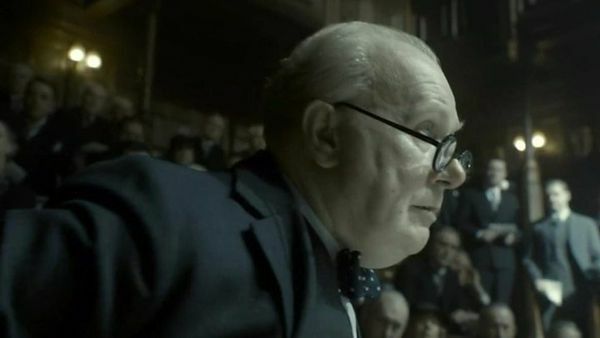 Overall, Darkest Hour presents the definitive version of Winston Churchill on-screen. It gives a different perspective of an iconic moment in history. At times this is also the movie’s downfall but Oldman keeps you invested and manages to raise the British pride as well.